It didn’t take long for former Montana All-American Tyrone Holmes to get a call from an NFL team after a successful stint with the San Antonio Commanders of the now-defunct Alliance of American Football. And it didn’t take long for Holmes to find his new home either, with the Miami Dolphins – the first team to reach out – officially signing Holmes to a two-year contract on Tuesday. 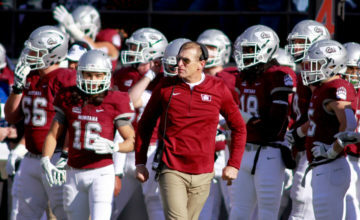 In an interview with GoGriz.com, Holmes said he was preparing to tour around the league and work out for interested teams after the AAF folded, but when new Dolphins head coach Brian Flores came calling, he knew he had found a new home. “I was happy that teams were interested and saw what I was doing on the field. 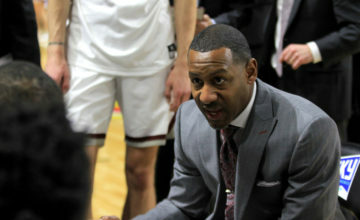 It just felt good that the work I had been putting in got noticed,” said Holmes. 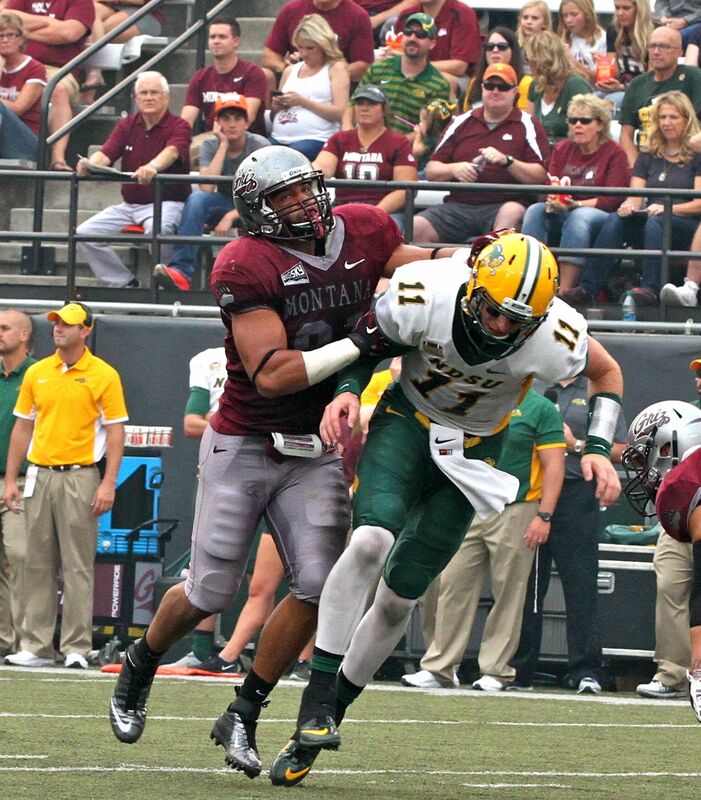 When the Dolphins open camp in a week’s time, Holmes will suit up as an edge-rush linebacker, allowing him to play to the abilities that made him the 2015 FCS Defensive Player of the Year as a senior for the Grizzlies. “It’s a position where you have to be versatile, so I’m willing to do whatever they ask me to do,” Holmes added. 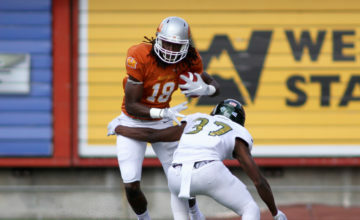 Holmes’ deal with Miami marks the start of his fourth year in the NFL after being selected by the Jacksonville Jaguars in the sixth round of the 2016 NFL Draft. He now returns to Florida after stints with Cleveland, Kansas City, and the LA Chargers before getting picked up by San Antonio of the AAF. During his short time with the Commanders, Holmes totaled 15 tackles (11 solo) and 1.5 sacks in eight games in the fledgling, and ultimately doomed league. Despite its failure, Holmes says his time in San Antonio helped him find his love of the game again after bouncing around the professional ranks. “It was a great experience. We had a great team, the guys were awesome, and we were just having fun playing football,” he said. Holmes now prepares for his return to football’s biggest stage with not only a renewed passion for the sport but a reinvigorated sense of gratitude, thankful that he gets another shot at the professional dream. “Not very many guys get a chance to play in the NFL, and that I’m still doing this thing is a blessing for sure,” said Holmes. The Dolphins have had a long history of signing former Grizzlies over the years, starting back in 1978 when Grizzly Sports Hall of Famer Doug Betters was selected by Miami in the sixth round of the draft and went on to be named the NFL’s “Defensive Player of the Year” in 1983. Colstrip’s Tuff Harris then joined the team as an undrafted free agent in 2007. In 2008 running back Lex Hilliard was drafted by the Dolphins in the sixth round, and kicker Dan Carpenter signed as a free agent as well. Miami also signed offensive lineman J.D. Quinn as a free agent in 2009, and most recently Missoula native Jordan Tripp was picked by the Dolphins in the sixth round of the draft. Now Holmes becomes the eighth former Griz to suit up for the storied franchise. Heading into the NFL preseason, Montana currently has two other players on NFL rosters with Trumaine Johnson suiting up for the New York Jets, and Will Poehls signing with the Indianapolis Colts last season. Other former Grizzlies currently in pro football include Calgary Stampeders head coach Dave Dickenson and his brother Craig Dickenson, who is the new head coach at Saskatchewan. Tim Hauck is a Super Bowl-winning safeties coach with the Philadelphia Eagles, and Andre Patterson is coaching the defensive line with the Minnesota Vikings. Brock Sunderland is also the general manager and vice president of football operations for the CFL’s Edmonton Eskimos. Former Grizzlies hoping to make their professional dreams come true will be waiting to hear their name called in two weeks when the 2019 NFL Draft kicks off in Nashville. Montana has had 147 student-athletes move on to play professionally in the program’s 122-year history, with 52 players being drafted. Press release courtesy of Eric Taber – Montana Sports Information. All Rights Reserved.